Finals are over! Praise the Lord! I am officially a senior in college! Oh. My. Goodness. My acting final was at 2:00 and I must say it went better than expected! I had been having a horrid time with memorizing the lines this time --which is never a problem for me-- so I was pretty worried. But now it is over and finished and I can move on! 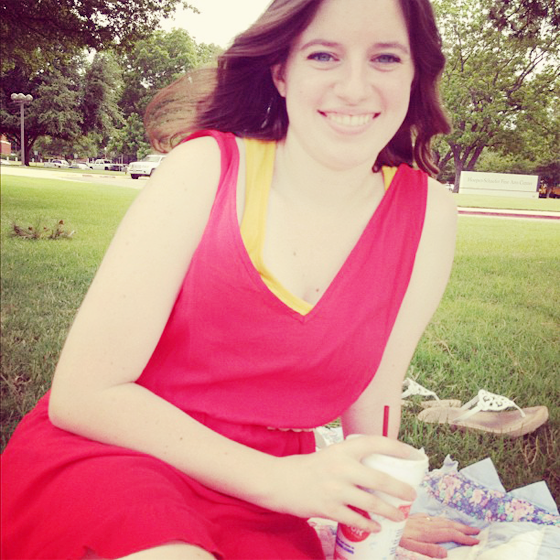 In celebration, I picked up Carissa and we headed back to campus and tossed a quilt out on the lawn in front of the theatre for a picnic. 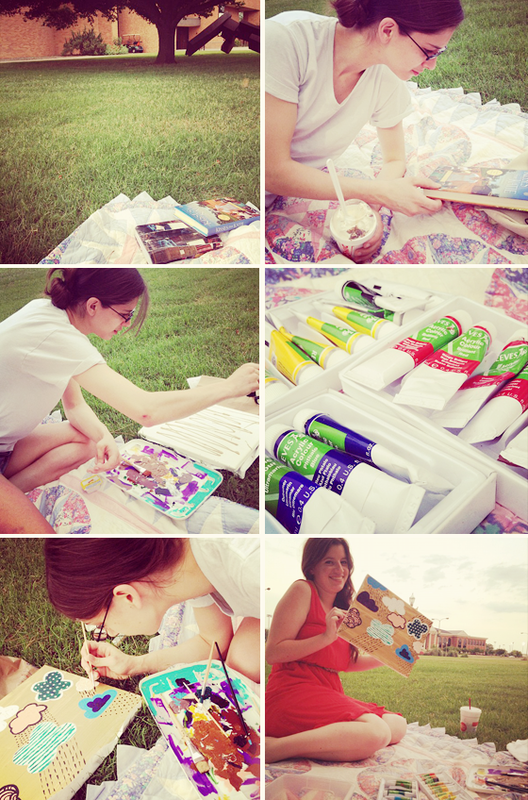 We hit up Sonic for happy hour then camped out to read and paint. With Michael Buble Pandora playing in the background, a nice breeze rippling through the grass, it was beautiful! Her painting... well, that was pretty interesting. Once it was finished she laughed at it and told me to paint over it and start again. But we had fun. That's what matters right? Man I'm going to miss Carissa when she leaves. She'll only be 2 hours away, but still. It won't be like having her down the street or across the hall. We'll have to have a few more of these picnics before the next two weeks are up. I miss Sonic happy hour soo much! They need to build a Sonic somewhere in the LA area and I can personally fund their business.